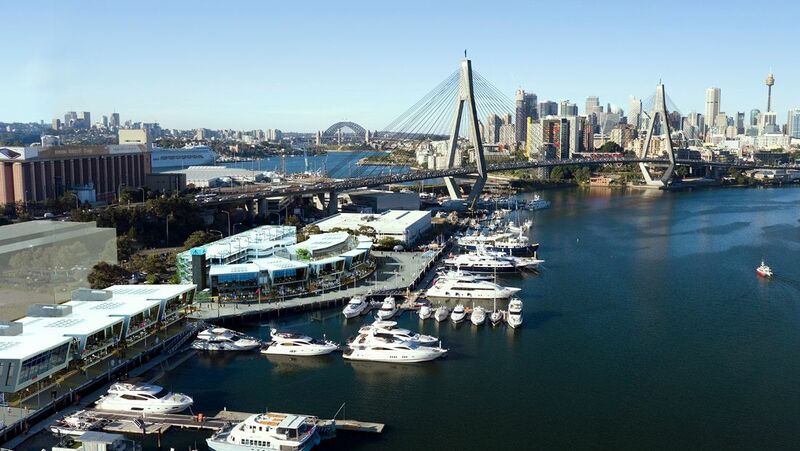 The Sydney Superyacht Marina is currently undergoing a $30 million redevelopment of approximately 6880m2 to deliver an epicentre for Superyachts in Sydney. Land based facilities will include three buildings which have been sympathetically designed for the marine environment. The marina will provide a generous uninterrupted public promenade fronting Rozelle Bay. The intended use of the buildings include Superyacht associated businesses, Superyacht crew facilities, a Superyacht Club, Marine Offices, Retail and Restaurants and Providore. The new carpark building, with 250 spaces plus 30 storage units, offers unparalleled convenience to yacht owners, captains and crew, and visitors to the marina. The Western Building will be completed in April 2017 and will house a range of marine office and retail businesses, with spaces available for lease from 20m2 to 500m2. There will be additional provedore/restaurant space of up to 430m2 creating world class dining experiences on the foreshore of Rozelle Bay, with stunning view of Bicentennial park, the Anzac bridge and the Sydney CBD. A multilevel car park offers 250 parking spaces and 30 storage units. This will provide convenient parking for yacht owners, crew, contractors and the public accessing the world class marina facilities. The Sydney Superyacht Marina is excited to revitalise and further open to the public another part of the beautiful Sydney Harbour foreshore. A new and exciting revival of this maritime region will benefit our clients, visitors and residents of Sydney alike. The Eastern Building will house marine retail, commercial, offices for marina. 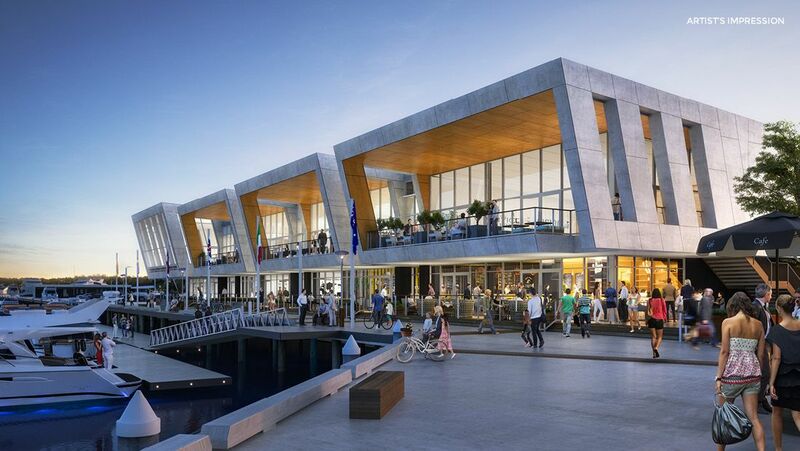 Additional cafes and restaurants will create a fabulous waterfront dining precinct for all to enjoy. 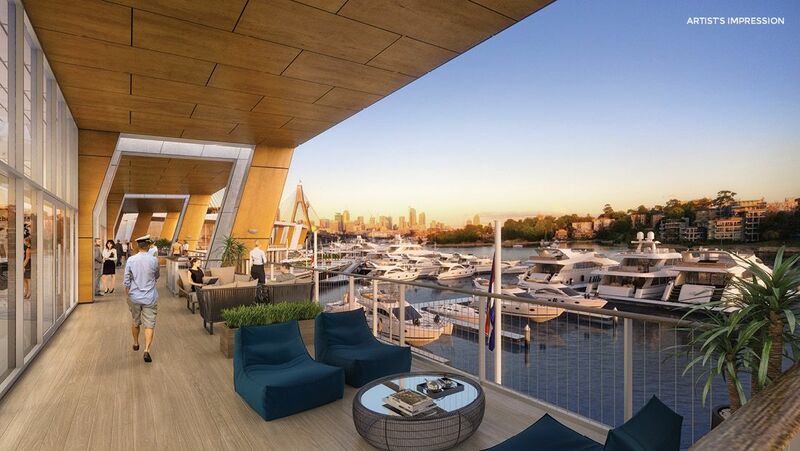 Moments from the CBD and adjacent to the iconic ANZAC Bridge, The Foreshore at the Sydney Superyacht Marina, Rozelle Bay, represents an unrivalled waterfront location with easy access from the inner west, the eastern suburbs, the CBD, and northern areas of Sydney. With the White Bay Power Station, Roads and Maritime Services, and numerous marine-based businesses nearby, the area is primed to experience significant growth in the near future, both as a commercial hub and leisure location, as the Bays Precinct revitalisation project progresses. This city-fringe waterfront building promises light-filled workspaces. The location and work environment would ideally suit successful enterprises looking to position themselves in one of Sydney’s finest waterfront locations. The lower level offers fantastic frontages to Sydney’s premier superyacht marina, with prime exposure to a wide potential clientele. The Foreshore’s future as a destination for dining, providore and coffee culture is a rare opportunity. The upper level larger suites boast soaring overheight ceilings, and hold a commanding position above the Sydney Superyacht Marina’s high end superyachts. Views across the water towards picturesque parklands, the Sydney city skyline and iconic ANZAC Bridge need to be seen to be fully appreciated. Secure your opportunity to be part of Sydney’s largest marine precinct and environs at The Foreshore. This unique opportunity to create a space to perfectly suit your growing or established enterprise, must be seen to be truly appreciated. Register your interest and secure your space today to be part of this exciting foreshore precint.